“Ah oui, et cela n’a pas l’air très gai !“, he went on (it does not look a rosy place). I had no idea what he was talking about, or rather what place he was referring to. And since he could not remember the exact name, our conversation ended there, leaving me to wonder what place on earth he had been reading about. So we drove to Maine and had a wonderful time. I was then sure that his novel must have taken place elsewhere, and certainly not in that beautiful part of Maine that I know so well by now. One evening, while P. and I were lying in bed, we decided to watch TV. Yes indeed, our small rustic cottage had a television — it is America, after all — making me very happy, especially as I do not often watch le petit écran. Despite how small the screen was, we were able to view TV5, the French cable channel! I imagined that it was not coincidental, but rather the result of the large influx of francophones regularly visiting from Québec. While hiking, overhearing conversations in French, here and there, was rather pleasant. We zapped through the channels until P. stopped and chose for us to watch a thriller (he keeps arguing that it was not a thriller but nevertheless, I labeled this movie this way because all I could hear was boom and smash, or sounds alike). Perhaps action something would have been a better term to use to describe the movie. One thing I was sure of though, I was not keen to watch it. I am not a thriller type of girl. “Mais cela se passe dans le Maine“, P. insisted (It is taking place in Maine). Could it be the setting that my dad had described to me when speaking about the novel he was then reading, I wondered. I did not know much about the storyline, but as the plot started to unfold, I realized that one, I had not the slightest interest in this movie that I knew well capable of keeping me wide awake all night , and two, I would need to find something to occupy my mind instead. In such a small room, there was no other escape. So I sat there, left searching for ideas to divert my mind. “Mon carnet !” I murmured, feeling relieved and excited at the thought of the new plan I had just imagined. I grabbed my blue shoulder bag and pulled my Moleskine Notebook out. I was going to jot down notes for new recipes I would try. 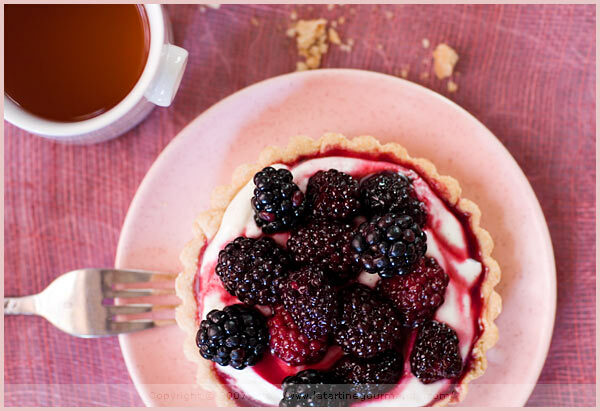 I am still unsure how the idea of blackberries popped into my head, but as I lay in bed next to P. who was fully engrossed with the movie, I suddenly felt a strong craving for a blackberry tart. Amaranth flour, mascarpone cheese, vanilla, a tiny touch of chantilly (whipped cream), blackberries and cane sugar. These were the list of ingredients for the tart I started to imagine, which I wished somewhat rustic while showcasing a touch of elegance at the same time. We sat on the few cushions we had scattered on the floor, as we usually do when nibbling in the living room. There was no thriller on TV, but I could not help thinking about one while having the first bite of our blackberry tarts. The taste was just as I had imagined. And then, I thought about my dad. And Maine. And then I knew that my blackberry tarts would always have this special flavor attached to them: the story of a thriller, Maine, my dad and his novel set in Maine, July 2007. My Moleskine notebook speaks of it. To make the crust, place the flours, sugar, salt in the bowl of a food processor. Add the diced butter and egg yolk. Mix into coarse crumbles using the pulse mode. Add the cold water and mix until the dough detaches from the bowl. Wrap in plastic and place in the fridge for a hour before using. After this time, roll your dough and place in small buttered molds (or a large one). Make small holes at the bottom and place covered in the fridge again, for 30 min. In the meantime, prepare your blackberries. In a pot, dissolve 1.5 oz sugar with 2 Tbsp water, then add 7 oz g blackberries. Simmer for 3 min then stop the heat and let the blackberries cool down in the syrup. Take the tarts out of the fridge and precook for 15 to 20 min (with paper and weight). Remove the weight and paper and continue to cook for 10 to 15 min (depending on mold size and dough thickness). Unmold and let cool on rack. For the tart toppings, prepare the mascarpone cream. Beat the mascarpone with the confectioner’s sugar until you have a smooth cream. Whip the cold cream and fold it in gently. Pipe the cream on top of the dough. Top with blackberries in syrup and some fresh ones — add some syrup. Serve immediately. Pour faire la pâte brisée, mettez les farines, le sucre et le sel dans le bol de votre robot. Ajoutez les dés de beurre et le jaune d’oeuf. Mixez par pulsions pour obtenir un sablage grossier. Ajoutez ensuite l’eau froide et continuez à mixer jusqu’à l’obtention d’une boule qui se détache du bol. Enveloppez-la dans du film étirable et mettez-la au frais pendant 1 heure avant de la travailler. Après ce temps, étalez-la et garnissez-en des moules individuels ou un grand moule. Piquez le fond avec une fourchette et remettez au frigo pendant 30 min. Pendant ce temps, préparez vos mûres. Mettez 40 g de sucre et 2 càs d’eau dans une casserole. Faites fondre le sucre, puis ajoutez 200 g de mûres lavées. Faites frémir pendant 3 min et arrêtez le feu. Laissez les mûres infuser et refroidir dans le sirop. Garnissez les fonds de tarte de papier sulfurisé recouvert d’un poids et faites précuire les fonds de tarte pendant 15 à 20 min. Enlevez le poids et le papier et poursuivez la cuisson pendant 10 à 15 min (selon la taille des moules). Pour la garniture de la tarte, préparez la crème à la mascarpone. Battez la mascarpone avec le sucre glace jusqu’à l’obtention d’une crème onctueuse. Battez la crème liquide froide en chantilly et incorporez-la délicatement. Étalez cette crème sur les fonds de tarte (utilisez une poche à douille si vous le souhaitez). Recouvrez de mûres fraîches et de mûres au sirop léger, en ajoutant un peu de sirop sur le dessus. Dégustez sans attendre. Aw, one of my favorite berries! That tart looks fabulous! drôlement appétissante ces tartelettes je t’en piquerais bien une pour le dessert! J’adore ces jolies et gourmandes tartelettes ! Miam, ces tartelettes ont l’air trop bon. Le récit de voyage m’a beaucoup plu aussi. 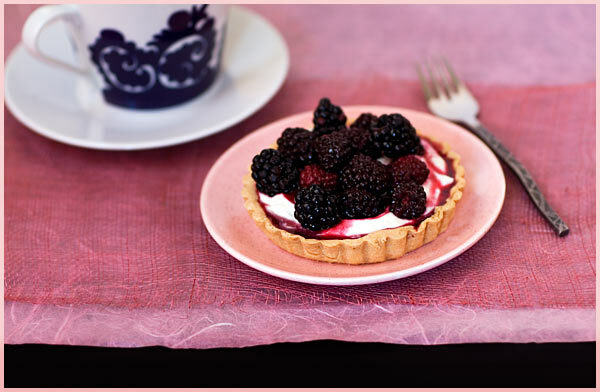 I don’t think I’ve ever tried blackberries, but these tarts and this post are both lovely. Parents can be so random! But they are grand! Oh and blackberries are wonderful! Rhhhhho mais euhhh, tu sais que tu as le don de me tenter! I love how the juice is just running over the top of the tart – these are going on the “must make” list! oh my god!! je suis archi tentée, je note tout de suite! Love the story, love the tart! Well, Béa in selfdefence I am a thriller kind of girl, my husband loves them. I’ve always loved a good mystery. But, absolutley the best is your story of creating this tart and how it will always carry all these links. Beautiful! Des tartelettes! Alors la tu me prends par les sentiment, lol! Elles sont superbes! A propos, j’ai fait les chips de crevettes au micro ondes, sans huile ni rien et ca marche tres bien! Un peu moins gonfle mais c’est un bon substitut si quelqu’un doit faire attention a sa ligne. Elle est très appétissante cette tarte qui allie fruit et fromage ! It’s funny how we attach an experience to a certain food. Great story! My kindred spirit this week, it seems! I must say, your tarts are by far prettier than mine. All the best! oh this just looks perfect for morning tea right about now. Yum! We are very lucky to have a neighbor who has huge blackberry bushes, and every summer we go to his house to pick. I freeze the berries for the winter, when they are even more of a treat! la deniere sardine que j’ai vu est celle qui a bouche le port de Marseille ,on le trouve pas de sardines a Miami ou tout au moins je n’en ai pas vu. These tartlets are making me very hungry!!!!! heee 🙂 Thanks for sharing such gorgeous pictures! Ah, just in time for the blackberry season in the UK. We have (had) huge bushes growing wild near us but the local government decided to cut them down last year. Luckily we have a few in our garden now, and this looks just the treat for when the crop comes in. I love the mascarpone and berry combo. What perfect little tartlets! I love your photos and those little “tartes” look wonderful. I was wondering if you had a secret to ensure that the pie crust keeps the shape of mould and doesn’t shrink during blind baking. Thanks! You always know how to make me hungry. The tarts look great. Ronell, ah great idea. You are funny! 😉 Thank you. Sophie, merci, encore une fois. Veronique, thanks so much for your nice message. Ravie que mon blog vous plaise. Oh yes, I would not be able to do without TV5! 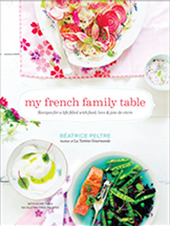 I a good way for me to stay French and connected. A tres bientot j’espere! Phil, thank you. 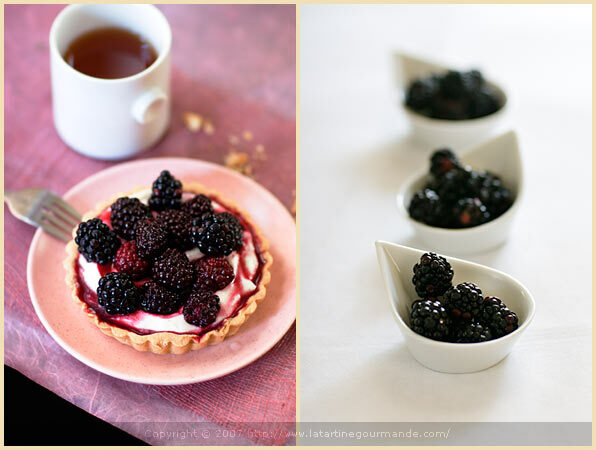 One thing that does help the crust to stay is the same is to not forget the step whereby you place the tartlet (without fruit) in the fridge before baking them. Minimum 30 min. Peabody, thank you. You also know how to make me feel hungry. 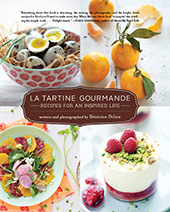 Great food blog and amazing photography!! I stumbled upon your website accidentally and I am now hooked onto it. Its a treat for the eyes and I am sure you are a wonderful cook. If your creations look so beautiful, they have to taste good too! I tried the above recipe, but I used raspberries instead of blackberries and it was the best dessert I ever made. Thank you for sharing your beautiful food and its secret recipe!! I tried this tart recipe with freshly picked strawberries instead of blackberries and it was incredible! I have tried so many of your tart crusts and every one is absolutely delicious and so easy to make. My mother is gluten-intolerant so we are incredibly grateful for all the wonderful recipes you have given us!